The Lake District is the perfect holiday destination to take the whole family to. 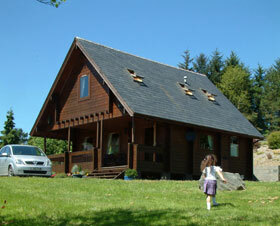 Renting a self-catering cottage in this beautiful area for the kids, grandkids, siblings, loved ones and everyone else in between is the best way to enjoy the Lake District at your own pace, and there are endless family attractions and activities to participate in on your break to keep everyone happy! Whether you are looking for a relaxing break enjoying the culture and history of Lakeland or if you want a more action-packed outdoor activity holiday, the Lake District has everything to offer for its visitors and you can be sure that your family summer cottage break in the Lake District will be one to remember. Renting a self-catering cottage is a great way to be immersed within the natural settings of the Lake District, as many cottages are perched by mountainsides and lakes, or hidden within forestry. Others are set within quaint little villages where you can really get a sense of community, living with the locals and buying fresh produce from local family-run businesses. All cottages in the Lake District come furnished stylishly and comfortably with cosy log fires, fully-equipped kitchens and comfortable beds, and some even have inbuilt barbecues, swimming pools and hot tubs. Family cottages come with separate living areas and plenty of bedrooms for everyone, and with private gardens, you can feel peace at mind knowing that the children are playing in a safe environment outside, and the fixed BBQ is a great way to gather everyone around and share tasty food under the sun. There are plenty of family attractions to visit in the Lake District, and one of these is The Puzzling Place in the village of Keswick. This is a great exhibition centre that adults and children will both love, and as well as being fun it is educational and mind-boggling! With plenty of puzzles to ponder over and hopefully solve, it makes a great day out for everyone! Another brilliant attraction to see for the whole family is the World of Beatrix Potter. Located in the picturesque village of Bowness-on-Windermere, this wonderful attraction brings the tales of this classic children’s author and illustrator to life through amazing displays. As Beatrix Potter called Lakeland her home, there is much to learn about this fascinating writer and visitors to the World of Beatrix Potter can learn much more about her. Kids who love the tales will adore the centre and adults who were brought up on Peter Rabbit and co. will also find a trip here highly fascinating. Windermere Lake Cruises are a great way to get the whole family aboard ship as you glide across England’s largest lake, taking in the spectacular panoramic views. Cruises last from anything from 45 minutes to three hours, and this really is the best way for your whole family to see and appreciate this incredible lake. Taking your family dog on holiday is not a problem when renting a pet-friendly cottage in the Lake District where dogs are welcome. The entire family and your dog can have a wonderful time. Family summer cottage breaks in the Lake District are the perfect way to spend a summer holiday with all of your loved ones. With fun museums and attractions and beautiful backdrops, it will be a trip that you will want to repeat time and time again!